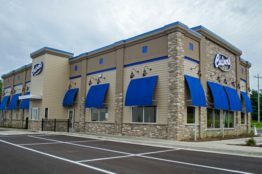 In September of 2007, Kathy Brooks, the Director of Construction for Zaxby’s Restaurants, selected MRP Design Group as an additional Architectural & Engineering firm to service the Zaxby’s brand. In the past 10 years we have helped them grow from 400+ restaurants to an impressive 801 locations across 17 states! 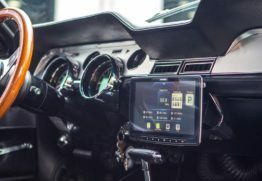 We are honored to have been involved in the design of over 230 of those sites. During our partnership we’ve seen this Athens, Georgia based concept expand west as far as Utah and north through Indiana. 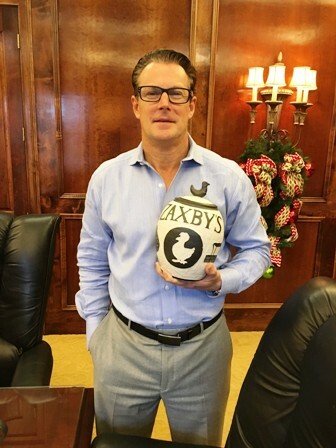 Zaxby’s Zach McLeroy with pottery piece commissioned by MRP Design Group. Throughout our tenure we’ve been involved with prototype development on 6 different building designs helping keep the brand current and welcoming. 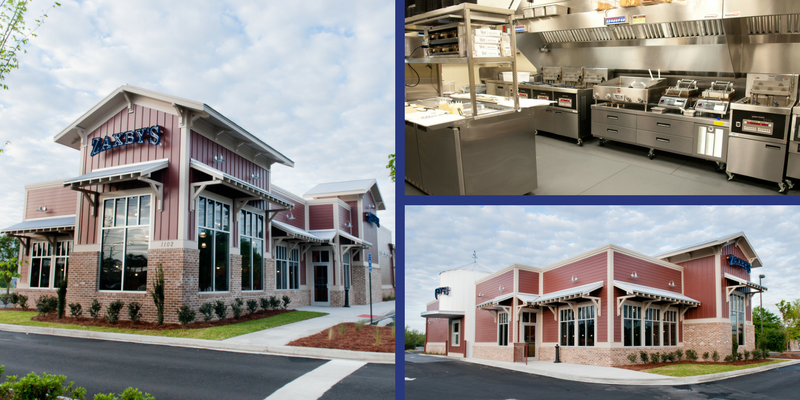 We are proud to be part of the Zaxby’s development family and value all the friendships we have made with licensees, corporate staff, vendors, suppliers and general contractors we have met over the past 10 years. Thank you to Kathy Brooks, Zaxby’s CEO Zach McLeroy, and the entire development team.